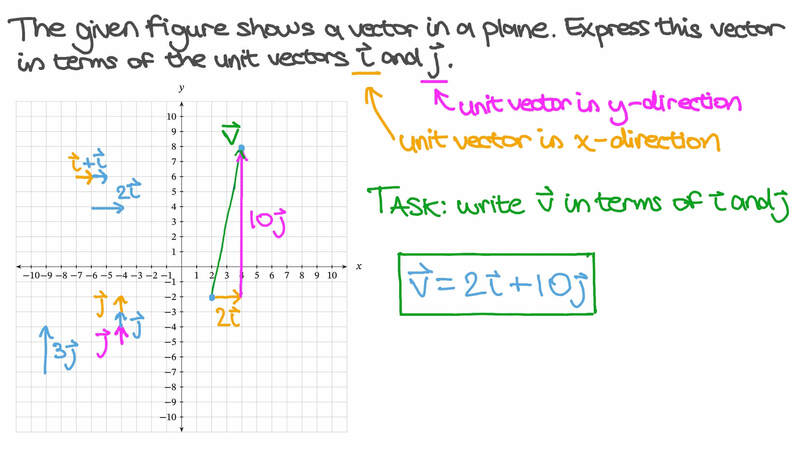 In this lesson, we will learn how to write a vector as a linear combination of unit vectors. Express the vector ⃑ 𝑍 =  − 5 2 , − 1 9  using the unit vectors ⃑ 𝑖 and ⃑ 𝑗 . The given figure shows a vector in a plane. Express this vector in terms of the unit vectors ⃑ 𝑖 and ⃑ 𝑗 . Express the vector ⃑ 𝐿 = ( 1 0 , − 1 0 ) using the unit vectors ⃑ 𝑖 and ⃑ 𝑗 . 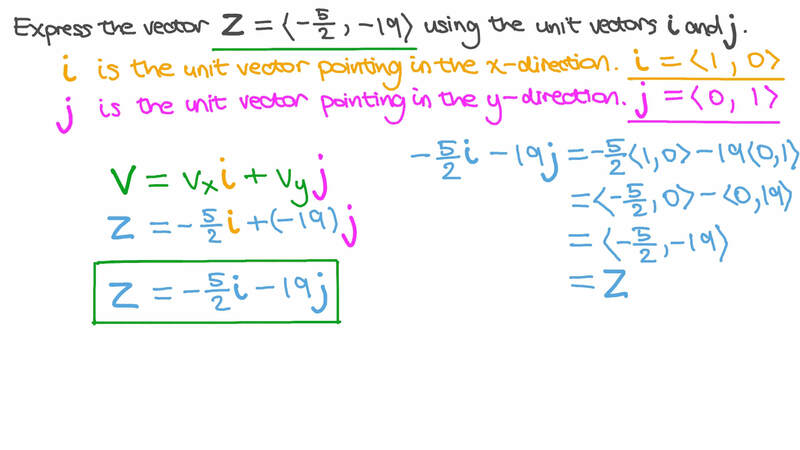 Express the vector ⃑ 𝐿 = ( 9 , − 1 3 ) using the unit vectors ⃑ 𝑖 and ⃑ 𝑗 .